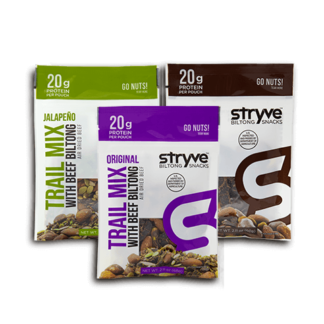 Go nuts with Stryve’s ALL NEW Original Trail Mix. 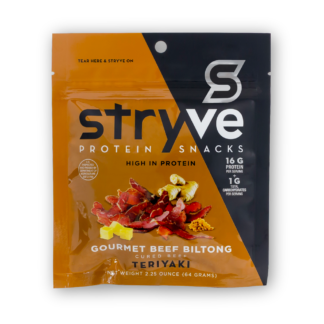 Each bag features a satisfying blend of lean beef biltong, whole nuts and seeds—all for 20 grams of protein and only 2 grams of sugar. 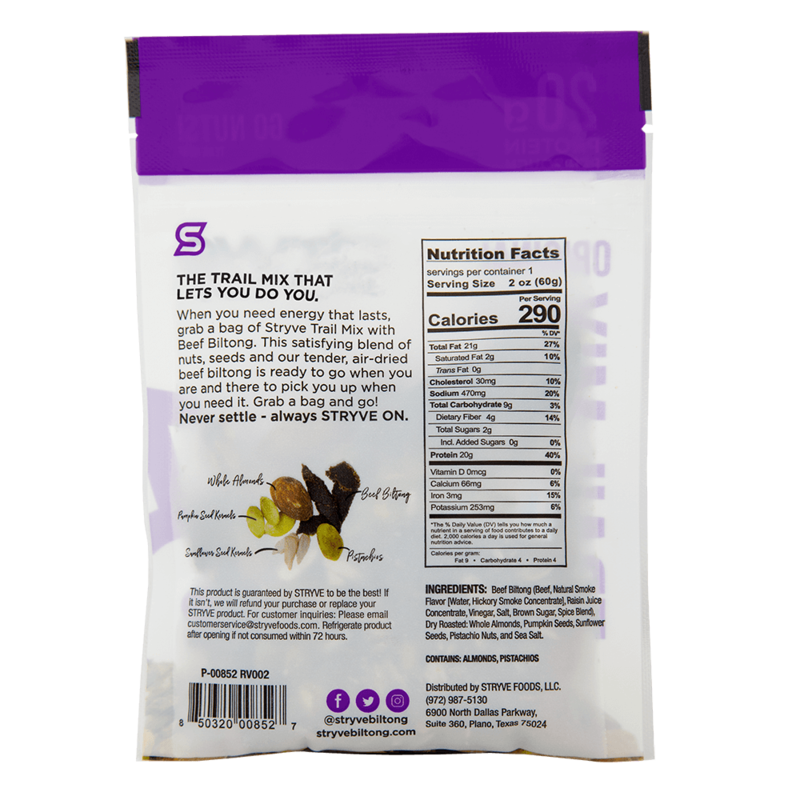 When you need energy that lasts, grab Stryve Trail Mix and go. 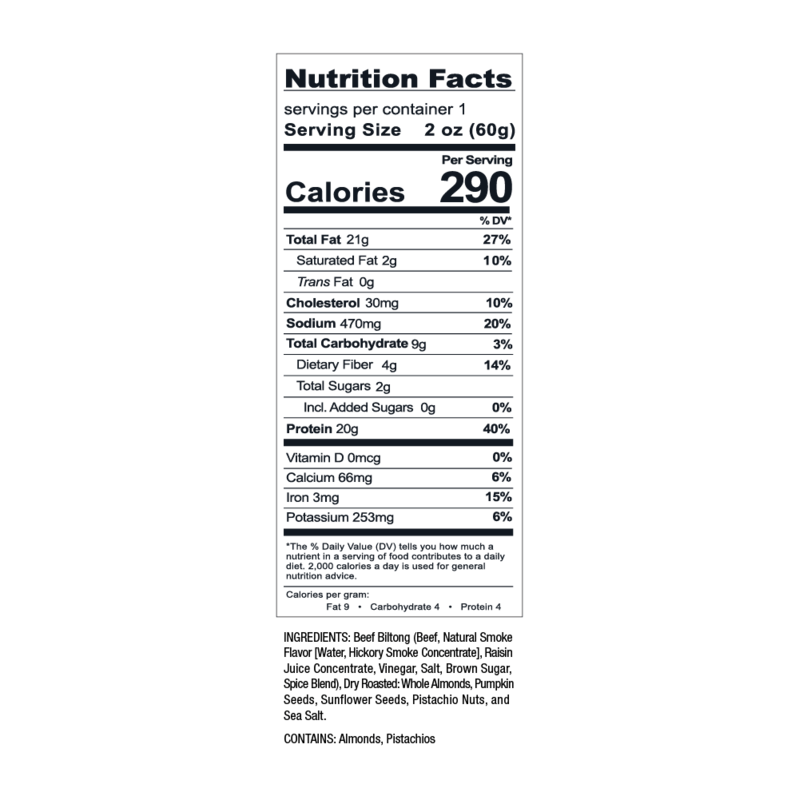 It’s the healthiest snack on earth! 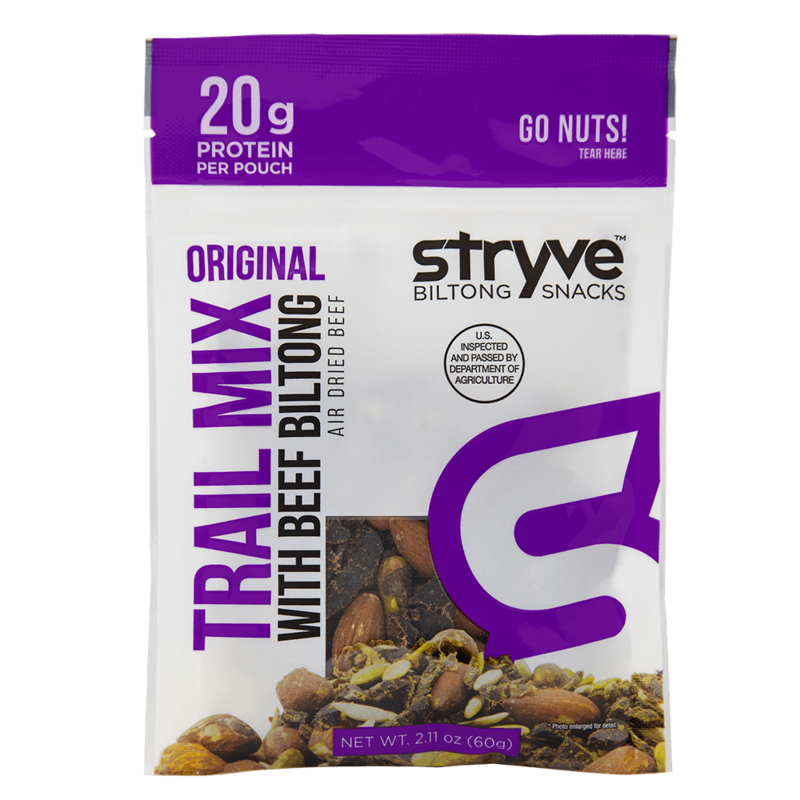 Great tasting trail mix with air-dried pieces of beef. This one sticks with you for several hours. 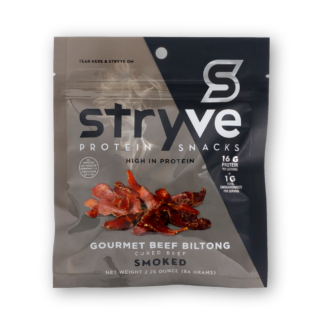 The high protein content and all natural ingredients make me feel good about what I am putting into my body. The taste makes me keep a stash nearby! Just the right mix of nuts, seeds, and meat. I love pistachios and almonds. 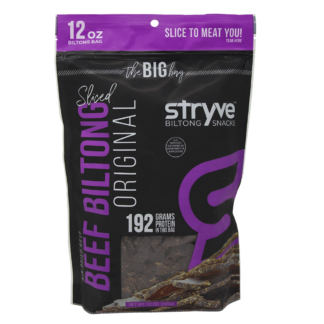 I love the beef biltong. 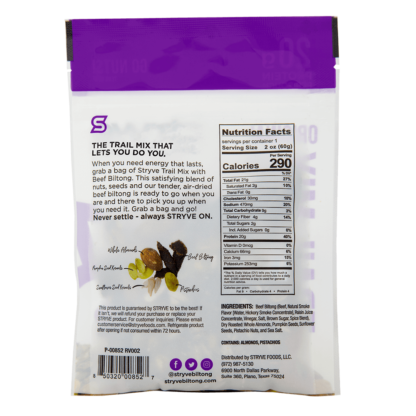 Pumpkin seeds and sunflower seeds do add to the taste. I do not like peanuts, and there are none in the Stryve trail mix. 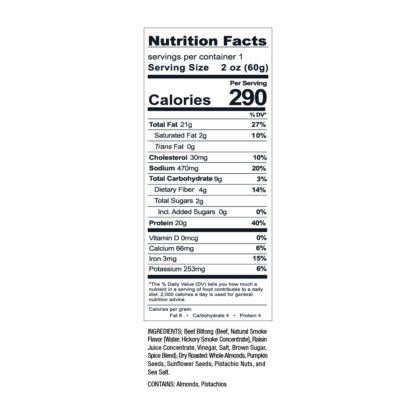 This is totally a blend of the good stuff!